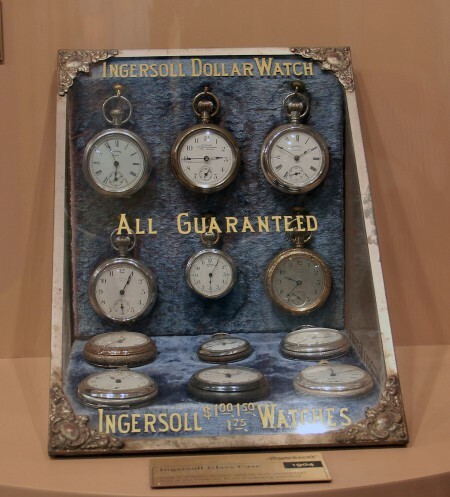 The Ingersoll Watch Company was started by two brothers, Robert and Henry Ingersoll, in 1822. 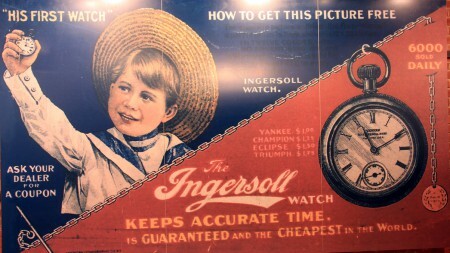 Their earliest watches were supplied by the Waterbury Watch Company, located in Waterbury, Ct. Ingersoll went bankrupt in 1921 during the recession that followed the First World War. 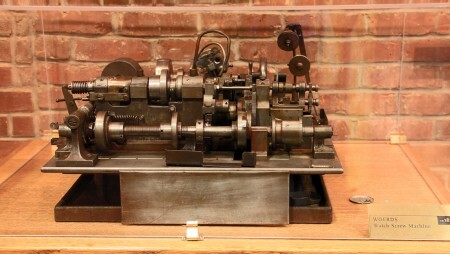 It was purchased by Waterbury Watch Company in 1922. In 1944 the company was renamed United States Time Corporation. Today it is called Timex Group, with main offices in Middlebury, Ct. During the First World War, the company sold the military small pocket watches, modified to be worn on the wrist, that were worn by artillery gunners to read time while working their guns. 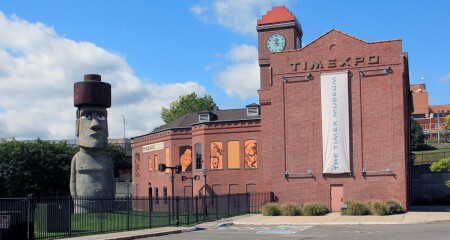 Inside the museum are three floors of exhibits, most of which depict the history and development of Timex clocks and watches over the years. On one floor the museum takes an odd turn that explains the Easter Island connection. I will explain that as we move on. John Cameron Swayze was a popular news commentator and game show panelist during the 1950s. He did a series of commercials for Timex in which he subjected Timex watches to various torture tests. 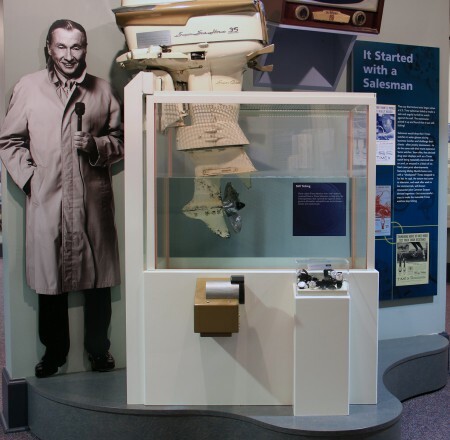 As the watch emerged from the test in working condition, Swayze would utter his now-famous catch phrase, “It takes a licking and keeps on ticking.” The museum features a video presentation of a commercial demonstrating a Timex watch being strapped to the propeller of an outboard boat motor and surviving after the motor is powered for a few minutes. He performed in Timex commercials for over two decades. He also did commercials for other consumer products. Some of my favorite commercials were those he did for Studebaker cars and trucks in the 1960s. 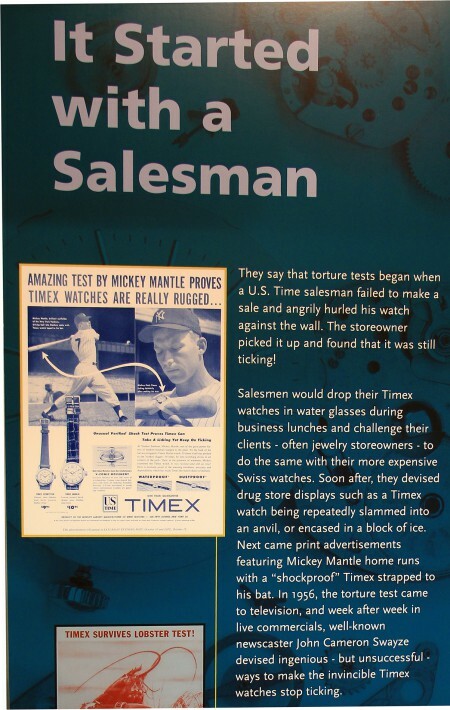 New York Yankee, All-Star center-fielder Mickey Mantle was also featured in poster ads for Timex watches. However, I don’t remember ever seeing one these ads at Fenway Park in Boston. This museum poster details the huge role that Walt Disney and Mickey Mouse played in keeping Waterbury Clock Company afloat during the Great Depression. 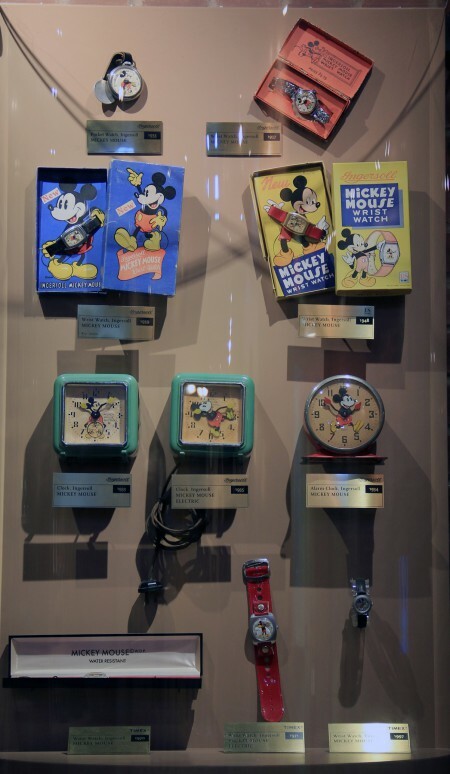 Displayed here are a few vintage Mickey Mouse watches. The pocket watch on the upper left is one of the models introduced at the 1933 World’s Fair in Chicago. All of these westerns were popular in my neighborhood, but Hopalong Cassidy was our favorite. My friends and I would often walk to nearby Franklin Park (one of Fredrick Olmsted’s Emerald Necklace jewels) with our toy rifles and six-shooters to act out our own Hoppy adventures. 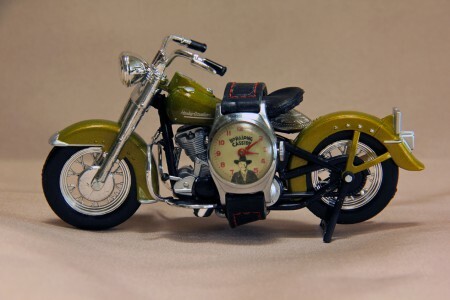 The watch strapped to the 1953 Harley Davidson Hydra Glide hard-tail was a present from my mother on my tenth birthday. The motorcycle is a replica of my first bike purchased twelve years later. I sold the bike in 1970, but kept the watch. 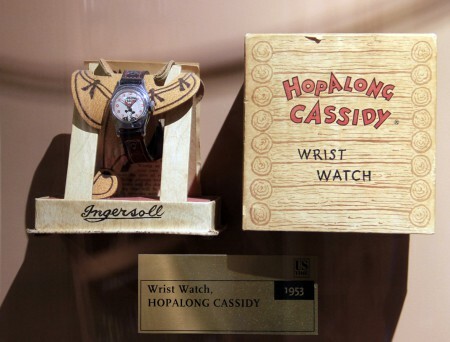 Another Hopalong Cassidy wrist watch on display in a vintage watch case at the Museum. Indiglo is a brand name for a company owned by Timex. The company produces an electrical phenomenon called electroluminescence that is used in Timex watches to make the dials glow in the dark. Watches with this feature were first introduced in their Ironman watch line, and first sold in Kmart stores in 1992. 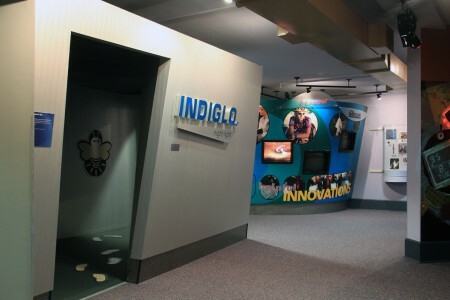 A walk through the Indiglo chamber at the museum explains and demonstrates the process. The museum also features a number of interactive exhibits. 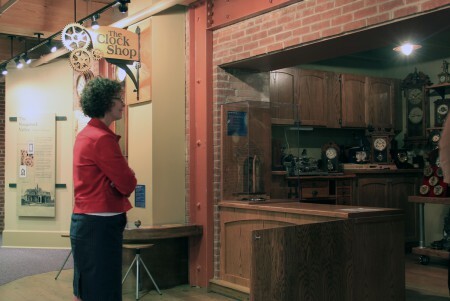 Below is the Clock Shop where, on certain days, visitors can view repairs being made on clocks and watches. In this photo the Museum Director is sharing her extensive knowledge of the exhibits. 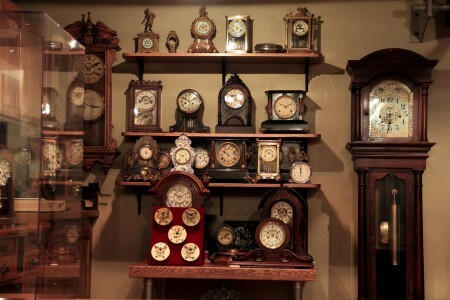 Clocks on display in the Clock Shop. 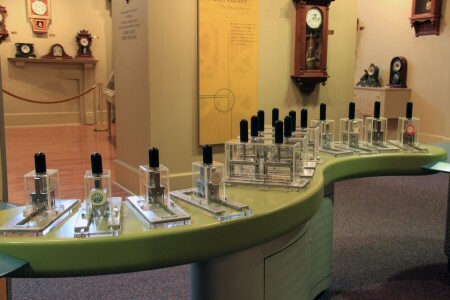 Another interactive display invites visitors to design their own Timex watch by using these stamps to punch the design on a card presented at the desk. I had a lot of fun with this display. 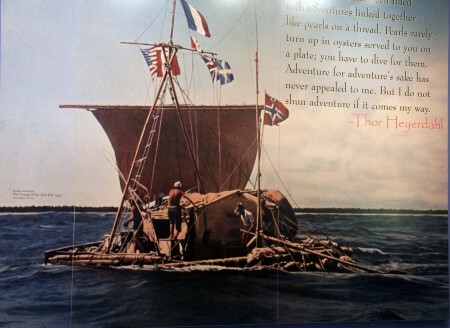 Thor Heyerdahl and a five-man crew traveled to Peru in 1947. There they built a raft of balsa logs and other local materials. On April 28, 1947, they set sail in this raft for 101 days and traveled 4,300 miles across the Pacific Ocean to the Polynesian Islands. Heyerdahl was close friends with the Olsen Family, who own Timex. They helped to fund his exploits on the Kon-Tiki. 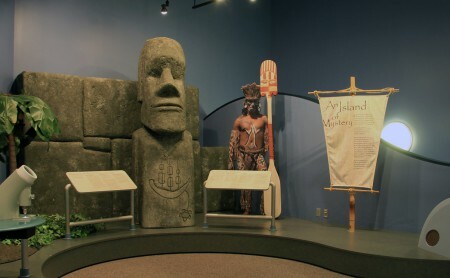 When the Timexpo Museum was built, the decision was made to include a display chronicling Heyerdahl’s work and his adventures on Easter Island. This museum is located at 175 Union Street in the Brass Mill Commons. 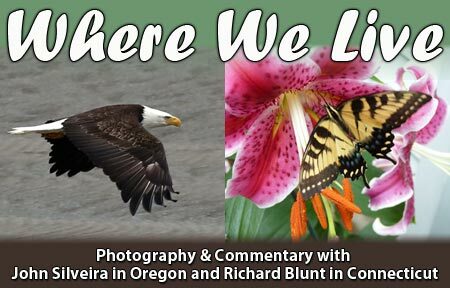 (Exit 22 off of Interstate 84.) It is open 10 to 5 Tuesday thru Saturday. 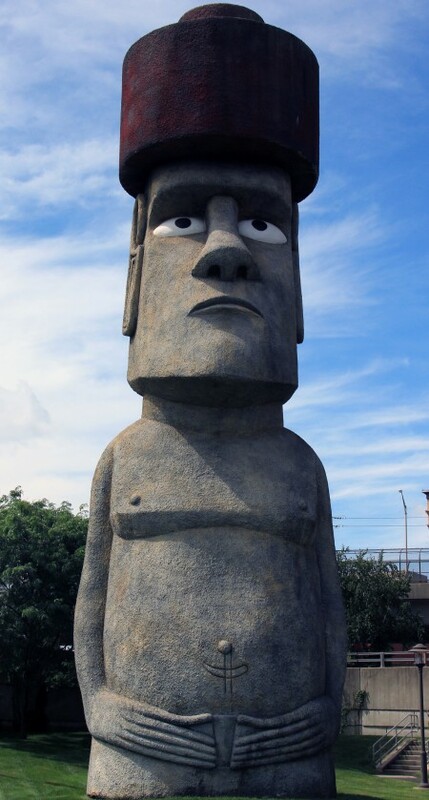 Look for the giant Moai as you approach Waterbury on 8, from East or West.